Va recomandam sa achizitionati si un bowstringer care va ajuta la punerea corzii pe arc cu mai multa usurinta si fara sa torsionati lamele. Arcul Storm este model amerindian, horsebow de 54 inch lungime - poate fi folosit si de pe cal. Intinderea maxima recomandata este 29 inch. Coarda este inclusa. test video STORM http://www.youtube.com/watch?v=4o4nS9prPJ8 ARCUL ARE 54 INCH SI MAXIM 60# @28 draw weight. Arcurile Falco se aduc mai ales prin comanda speciala si sunt personalizate. Arcul poate avea culoare dorita de dv sau puteti alege esentele de lemn pentru arcul exotic, poate avea fereastra sau nu. Din acest motiv termenul de livrare este de aproximativ 7-8 saptamani. Optiunile suplimentare pentru acest tip de arc sunt: maner din esente exotice pret 25 euro, unul sau doua straturi carbon, pret 25 euro/strat, un strat Diamond carbon pret 48 euro/strat, pistol grip pret 40 euro, high gloss pret 55 euro. Va rugam cereti o oferta personalizata daca doriti o configuratie care nu este afisata pe site. As the newest addition to our collection The Storm was first created to be a hunting/horsebow and the first prototype of it was ordered by our long-time test-shooter Marko Suhonen.At creating Storm, we aimed to engineer a very quick and fierce bow which would at the same time be comfortable to handle while on horseback - hence it had to be short. 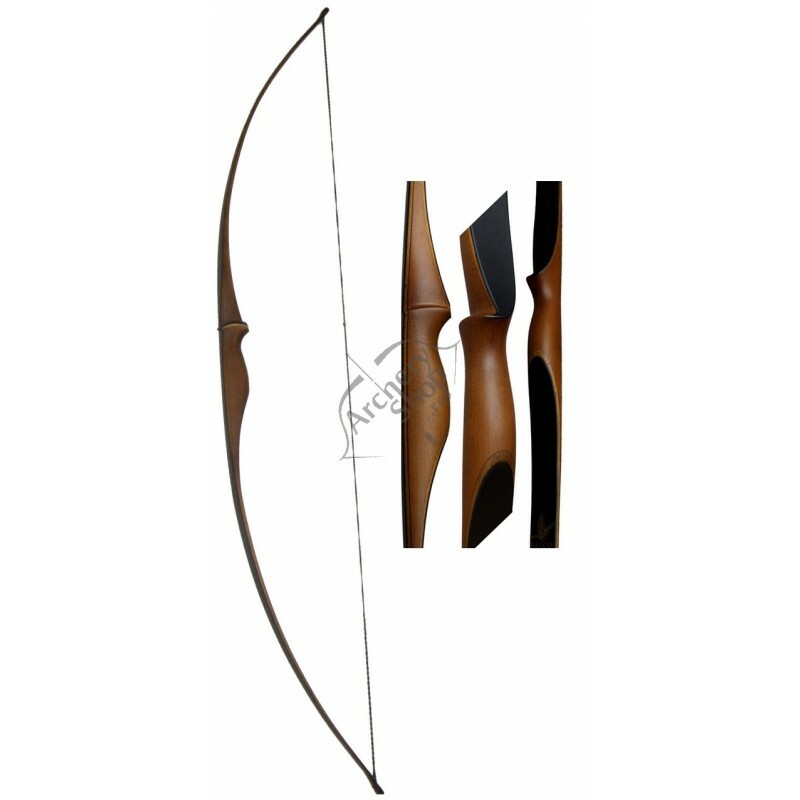 However going the easy way of making a classical Hungarian Mongol horsebow did not satisfy us either so we looked further and ended at a model more similar to the horsebows used by Indians in the prairie. We have never had such a rush of feedback which followed after Marko launched his test videos of The Storm on Youtube ( http://www.youtube.com/watch?v=4o4nS9prPJ8 ) and right now it seems The Storm has filled the space of a shortbowhunting longbow.We offer The Storm in 54" length and up to 60# @28" draw weight. Due to its shortness, the maximum draw length of The Storm is 28". Since this is our newest model, we might alter these specifications in the near future. The Storm comes either stained (colored) or of exotic wood handle and with a Fast Flight Flemish bowstring (incl).